For egg producing poultry and mature non-laying birds. Grain Products, Processed Grain By Product, Plant Protein Products, Calcium Carbonate, Molasses Products, Monocalcium Phosphate, Salt, Calcium Propionate, DL-Methionine, Choline Chloride, Ferrous Sulfate, Zinc Sulfate, Zinc Amino Acid Complex, Manganese Amino Acid Complex, Copper Amino Acid Complex, Cobalt Glucoheptonate, Manganese Sulfate, Vitamin E Supplement, Copper Sulfate, Sodium Selenite, Niacin Supplement, D-Calcium Pantothenate, Vitamin B-12 Supplement, Vitamin A Supplement, Riboflavin Supplement, Menadione Dimethylpyrimidinole Bisulfite, Thiamine Mononitrate, Pyridoxine Hydrochloride, Biotin, Vitamin D3 Supplement, Ethylenediamine Dihydriodide, Folic Acid, Cobalt Carbonate, and Ascorbic Acid. Feed layer crumbles free-choice as the sole ration to free-range and confined laying chickens (including backyard egg producers, small to medium breeds and fancy and exotic breeds) after 18 weeks of age and throughout the laying cycle. Always provide adequate, clean water. 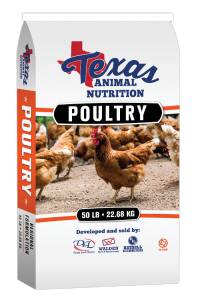 Feed layer pellets free-choice as the sole ration to free-range and confined laying chickens (including backyard egg producers, small to medium breeds and fancy and exotic breeds) after 18 weeks of age and throughout the laying cycle. Always provide adequate, clean water.